Creativity isn’t a static state. It’s a process, defined by its ebbs and flows. The more you practice, the better your best becomes. But, more importantly, the better your worst becomes as well. By actively trying to improve your skills, no matter how inelegant or awkward your starting point, you will improve in ways that you might not even be aware of. 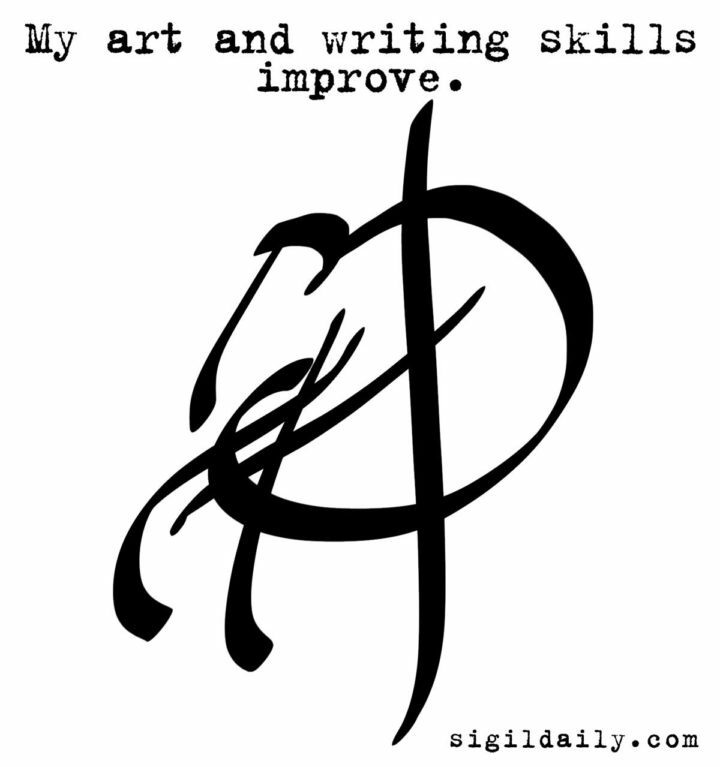 That’s the sentiment behind this sigil, which was requested by one of our Tumblr followers.